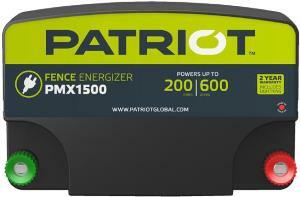 Temporary & Electric Fencing Energizers 110v Units .5 J Output, .85 J Stored, up to 15 miles, 60 acres, Low-Impedence charger. 2-Year Full Replacement Warranty, Lightning Included! Temporary & Electric Fencing Energizers 110v Units 1.2 J Output, 1.7 J Stored, up to 30 miles, 100 acres, Low-Impedence charger. 2-Year Full Replacement Warranty, Lightning Included! Temporary & Electric Fencing Energizers 110v Units 2.0 J Output, 3.0 J Stored, up to 50 miles, 165 acres, Low-Impedence charger. 2-Year Full Replacement Warranty, Lightning Included! 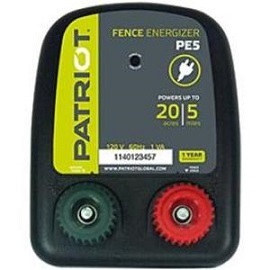 Temporary & Electric Fencing Energizers 110v Units 3.5 J Output, 6.4 J Stored, up to 65 miles, 200 acres, Low-Impedence charger. 2-Year Full Replacement Warranty, Lightning Included! Temporary & Electric Fencing Energizers 110v Units 6.7 J Output, 9.9 J Stored, up to 100 miles, 300 acres, Low-Impedence charger. 2-Year Full Replacement Warranty, Lightning Included! 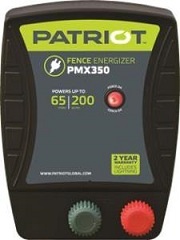 Temporary & Electric Fencing Energizers 110v Units Recommended for up to 2 miles of fence, 8 acres. Ideal for fencing yards to contain pets and exclude pests. 1-Year Full Replacement Warranty! 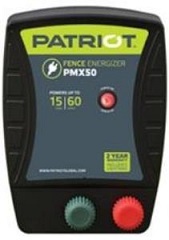 Temporary & Electric Fencing Energizers 110v Units Recommended for up to 5 miles of fence, 20 acres. Ideal for fencing yards to contain pets and exclude pests. 1-Year Full Replacement Warranty! 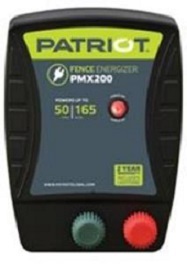 Temporary & Electric Fencing Energizers 110v Units Recommended for up to 10 miles of fence, 40 acres. Ideal for fencing small acreage properties. 1-Year Full Replacement Warranty! 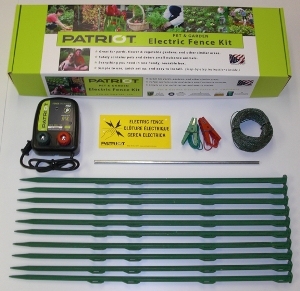 Temporary & Electric Fencing Energizers 110v Units Includes: PE2 Fence Energizer, 100 foot green polywire, 10 stakes, ground rod, fence and ground rod connectors and warning sign. Temporary & Electric Fencing Energizers 110v Units 13 J Output, 20 J Stored, up to 200 miles or 600 acres, Low-Impedence charger. 2-Year Full Replacement Warranty, Lightning Included!